To provide beneficial services and opportunities for the youth that will enhance and encourage llama ownership and participation. 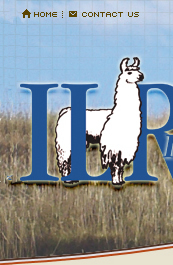 To develop diverse educational programs, material and curriculum that will position the ILR Youth Division as a leading resource organization in the camelid industry. 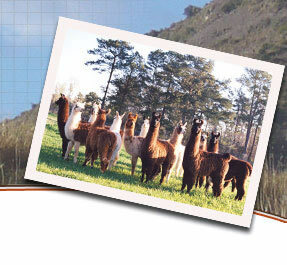 To provide guidance and a safe and enjoyable environment for a positive camelid experience now and in the future. 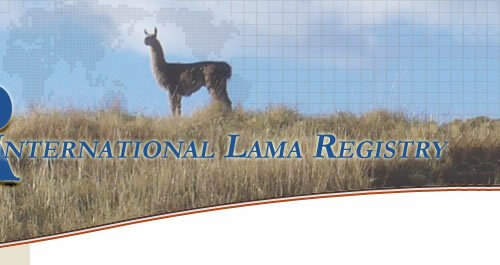 To generate growth of ILR Youth membership via the marketing, promotion, advertising and publicity of the llama industry. Parent/Guardian or Youth Group Leader signature on permission to show statement should be completed for entry. See Show Sanctioning section for wording and placement in show packet. Youth classes may be held at and are recommended at any ILR sanctioned show. Youth classes may be held as a standalone show with no open or adult classes. Sanctioning fee will still apply. Must still be judged by an ILR- approved judge. The age division in which the youth will show will be determined by their age on January 1 st of that year, however, if a youth reaches the age of 7 any time during the year, they will be eligible to show as of their birth date. Age requirement for youth will be 7 through 11 years. Age requirement for Intermediate Youth will be 12 through 14 years. Age requirement for Senior Youth will be 15 through 19 years. Intact males 18 months and older are restricted from being shown in the Junior Youth age division classes, due to safety concerns. Youth may share an animal in Youth classes at the discretion of show management, however, the number of youth sharing one animal in Youth classes will be limited to two (2), in order to prevent undue stress to the animal. Youth may show the same animal in both Youth and open performance at show management discretion. This will apply only if that animal is not shared with another youth. In showmanship, animals will not be shared by youth in the same age group since the youth would be in the ring at the same time. Youth participants may show no more than two (2) animals in the Youth division at any one show, and no more than one (1) animal in any single class. The ability of the exhibitor to show and handle their animal in order to present it to the judge at its best advantage. Preparation (grooming) of animal for cleanliness, properly trimmed toenails, and well fitting halter which is clean, in good condition and safe. Knowledge of conformation which aides in selection and presentation. Ability of handler to complete necessary tasks through a class pattern in order to give the judge the best view for the judge to evaluate the animal. Moving around animal to keep an unobstructed view when standing in line. Quadrants acceptable at judge's discretion. Ability to move animal at a brisk walk with head up for evaluation without pulling or dragging. Considerate and sportsmanlike conduct within the class. It is recommended that when youth are permitted by Show Management to enter open performance, as well as youth, that the open class is run prior to the corresponding youth class. Performance courses should differ by six (6) tasks in difficulty or change in task between age Divisions. As the Show Division develops and interest increases, some of these may become point classes. For exhibitors under 7 years of age. Will show and all receive blue ribbons or compete for placing at Show Management discretion. Showmanship pattern at discretion of Judge. Performance classes to have six tasks taken and simplified from Youth Performance listed suggested tasks. Creativity and theme between handler and animal. Narrative may be used but is not required. Amount of coverage and free hanging accessories. Animals' willingness to accept coverage and move freely in a quiet and controlled manner. Two camelids connected and working in single file through a series of 8 Trail/Pack tasks. Only partial points will be awarded if one animal fails to complete task. Suitability of animal as a packer. Quiet demeanor and willingness to please and follow handler. Strong conformational traits suitable to the trail and hardy constitution. Willingness to "team" with handler exhibiting rapport and connection. Strong conformation especially in pasterns and movement. Alert, attentive and quick to respond to handler cues and commands. Animal having a cooperative demeanor with a calm disposition. Llama fitted in driving halter and reins with surcingle or harness. Will be run as a learning situation as well as evaluation of Youth Judging skills, poise and knowledge. Spectators are permitted, however, audience members interfering with the class or "coaching" exhibitors will be asked to leave. Cellular phones, PDA, Pagers or other electronic devices not permitted while participating.